Every child is entitled to support from their parents, even if those parents are divorced. However, in high-income families, there will often be disputes about amounts, especially if there is income inequality between the spouses. 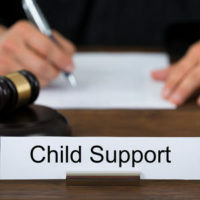 The normal child support guidelines are not always appropriate in high-income families, and it is usually up to the judge to work out an equitable amount that meets the child’s needs while not bankrupting the noncustodial parent. Florida law establishes guidelines for child support that are designed to be applied to every case. The guidelines provide a suitable minimum benchmark for support in most cases by calculating the parents’ combined monthly incomes and expenses. If the combined incomes are over $10,000, an additional percentage is factored in, usually around 2 or 2.5 percent per child. Given that many married couples are dual income and have roughly similar salaries, the guidelines are effective in a majority of cases. However, the guidelines are a less efficient way of arriving at a minimum support amount when the family is very high income, or when the spouses have vastly disparate salaries. In such cases, a support payment that scrupulously follows the guidelines will be inequitable because the child’s may be quite a lot less than the ordered amount. Florida law permits a court to order what is called a downward deviation in the support guidelines in these cases, as long as they are able to justify the decision and articulate it in the record. If you have a higher income than your soon-to-be ex-spouse, and fear an unreasonable or inequitable support request, be advised that the burden of proof is on you to show that a downward deviation from the support guidelines is warranted. Florida law operates on a presumption that the amounts stipulated in the guidelines are appropriate, and the only way that presumption will be considered rebutted is with strong enough evidence shown by the contesting parent. The best interests of the child is always the primary moving factor in a court’s determination of child support amounts, which means that the “bona fide needs” of the child will come first, before the finances of the noncustodial parent. However, this does also mean that amounts beyond that which is needed to keep the child in an appropriate manner will not be awarded – child support is not intended to enrich the custodial parent, only to be used for the child’s needs. Divorce is stressful enough for most people, even if it is welcomed, without getting into fights about child support. If you believe that your case may be one where a downward deviation from guidelines would be appropriate, contacting an experienced Hollywood child support attorney may be in your best interests. The Law Offices of Steven A. Mason, P.A. have years of experience in these cases, and is happy to try and assist you with yours. Contact our office today for individualized attention.